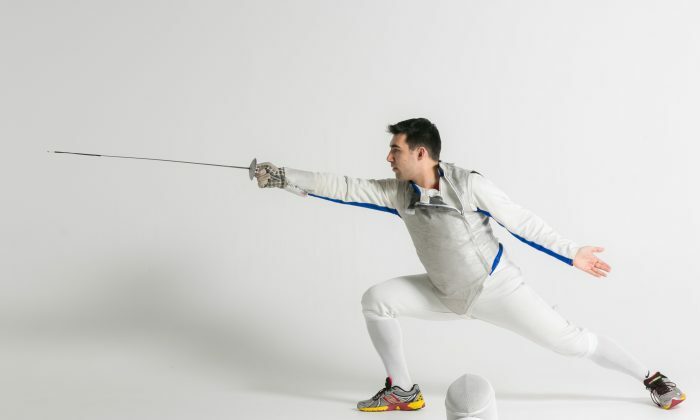 NEW YORK—Michael Dote was a full-time fencing coach, taking Adderall to keep up with his studies at Columbia University—when, suddenly, his mind became unhinged. It happened on a Friday in 2008. He was walking down the street when he noticed that people could hear his thoughts. Dote, 21 at the time, thought he had acquired telepathic powers. He ran terrible ideas through his head and watched for reactions. Strangers seemed to turn and stare. “I started thinking I was the center of a Truman Show experiment,” Dote said. The telepathy progressed into paranoia: Google was spying on him. The military wanted his supernatural abilities. John McCain was trying to murder him. Dote thought his life was in danger in the United States. Three months after his delusions began, he tried to purchase a plane ticket to China in cash at La Guardia airport. Dote cannot recall exactly what he did next, but it caused security guards to tackle him. After spending two weeks in prison on Rikers Island, he was sent to Bellevue psychiatric hospital and diagnosed with schizophrenia. Schizophrenia is a chronic brain disorder with no cure, and some studies show it can be a degenerative disease. Treatments diminish symptoms. But most people with schizophrenia will have to cope with some symptoms for the rest of their lives. Despite the stigma that those with schizophrenia are not capable of sustaining personal relationships or jobs, Dote has done both. Eight years after his diagnosis, Dote sat in a cafe in SoHo with his new bride—a makeup artist he met after developing schizophrenia. Since his diagnosis he has become an award-winning photographer and is currently filming a documentary about his ongoing recovery from mental illness. Dote, 29, has lively brown eyes lit with dry wit. Although he is risking his career by going public about his condition, he felt his story needed to be told. The human consciousness can be fragile. But it holds a great capacity to heal. After eight months in a psych ward, Dote was released on a heavy dose of antipsychotics in 2009. As his delusions disappeared, depression seeped in. 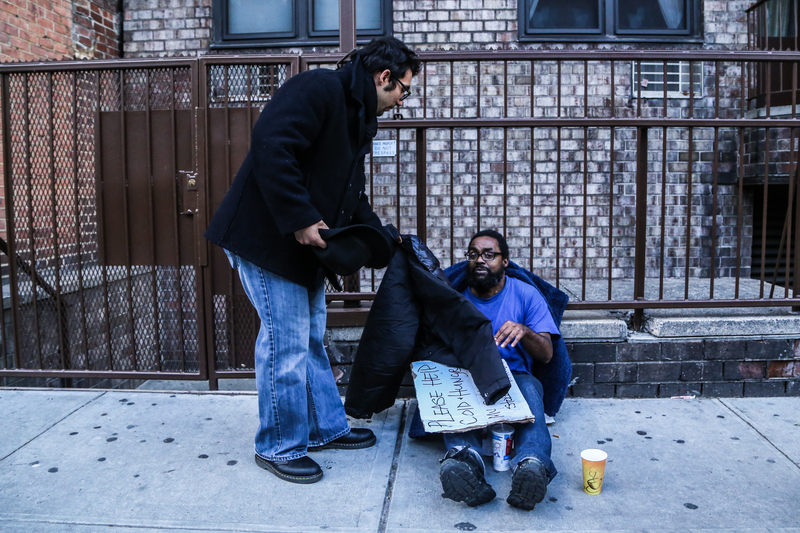 Dote’s erratic behavior had cost him his job, apartment, and friends. He moved in with his aunt, a 4-foot-11-inch Italian woman with bright red hair. At his new home on Staten Island, Dote looked at the relics of his old life: an outdated MacBook and an 8 megapixel DSLR camera. He felt nothing as he held the camera in his hands. The world looked different after his hospitalization. He looked different too. His medication caused him to gain 60 pounds in three months. He slept through most of the day and spent his waking hours alone at night. The mental illness label felt like a death sentence. Dote kept trying to make his days feel meaningful. He forced himself to keep taking pictures and responded to various photography ads on Craigslist. Eventually, someone hired him to photograph a night club. It was crowded. The lighting was poor. His equipment wasn’t quite right for the job. He continued responding to more ads, and photographing objects and people that were close to him. 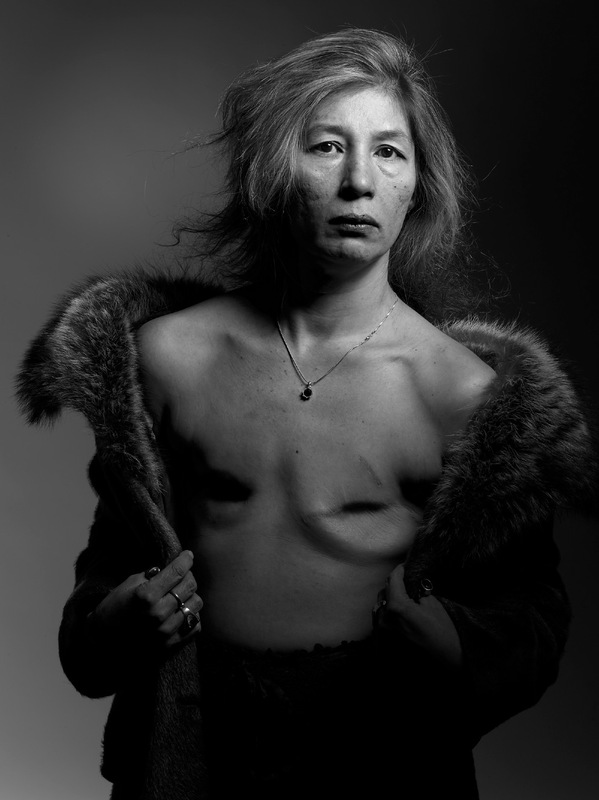 He photographed his mother and the barren scars of her double mastectomy. “It really helped me connect with my mother in a way that I hadn’t been able to before,” Dote said. After that shoot, he felt himself opening up to people more. The portrait of his mother ended up winning an award from the American Society of Media Photographers in 2012. His career took off. Historically, psychologists believed that people with schizophrenia could never recover. “This misperception has changed considerably in recent years,” said William Horan, a research psychologist at University of California–Los Angeles who has studied schizophrenia treatment. Over the years there have been more and more people like Dote—the have recovered significantly and have gone public about their illness. Brandon Staglin was diagnosed with schizophrenia in 1990. It didn’t stop him from graduating from Dartmouth College in 1993 with engineering sciences and anthropology degrees. He worked as an aerospace engineer and is currently the director of marketing communications for the International Mental Health Research Organization and Staglin Family Vineyard. He is married and has written extensively about his recovery. “It is now increasingly recognized that people with schizophrenia who engage in comprehensive treatment programs can, and often do, achieve highly satisfying functional recoveries,” Horan said. Comprehensive treatment might include individual therapy, family counseling, or life coaching. Recovery doesn’t mean the voices or paranoia completely go away. It means one learns how to cope with it while living independently, have a healthy social life, and fulfill one’s educational and career goals. Dote is currently making a living shooting fashion photography, editorial spreads, and advertisement videos. He said a key turning point in his recovery was when he took up Buddhism in 2013. He found solace in the Buddhist philosophy that pain is precious. Since he took up Buddhism, the voice in his head has changed into a positive encouraging voice. This phenomenon is not unheard of. The British Journal of Psychiatry published a 2014 study, which found that schizophrenics in the United States heard harsh voices, while schizophrenics in Africa and India often heard friendly voices. Tanya Luhrmann, a Stanford University anthropologist who authored the study, said the way people perceived their voices can change what their voices said. Dote said a critical juncture in his recovery process was when he changed his perception of himself and his illness. Thinking of the symbolism of lotus flowers in Buddhism—how the lotus only grows in mud–he felt there was a purpose to his suffering. Dote was the poor kid at the Bronx High School of Science, one of the most prestigious high schools in New York. There, he joined the fencing team. He was 13, overweight, and liked “Magic: The Gathering” trading card games. He felt it was unfair that his classmates were so affluent while he had to deal with roaches scurrying out of his iron when he pressed his shirts. He became good at fencing. 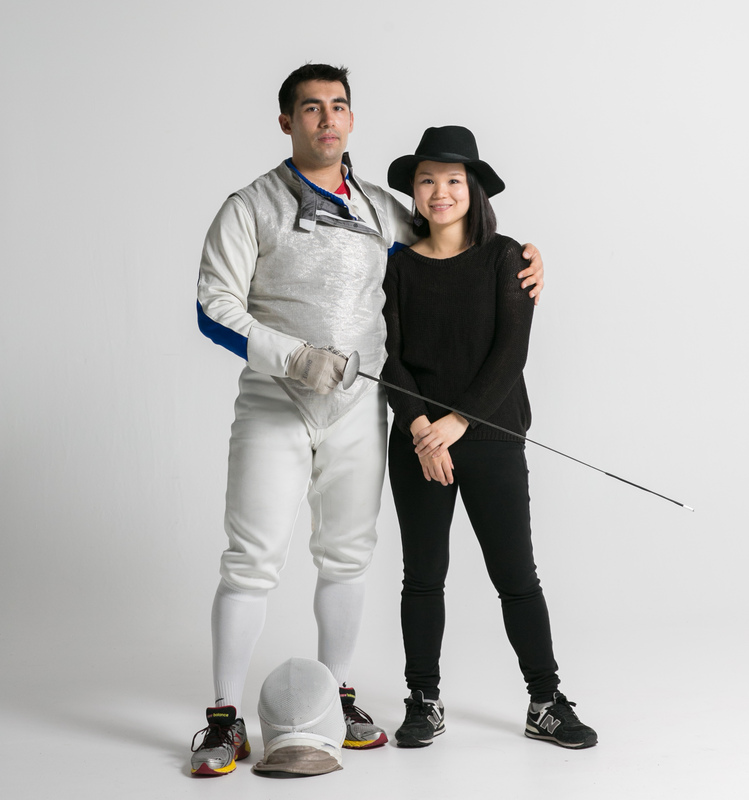 Dote coached fencing for five years until his first psychotic episode. He took up fencing again in September 2015, but with compassionate intentions this time. He taught children how to fence for a brief period until, in July 2015, Dote relapsed for the first time. In May 2015, Dote married a makeup artist he met during one of his shoots. He described her as “fierce, strict, and Taiwanese.” A romantic relationship helped stabilize his life. He stopped taking medication. He was fine without medication for six months, then the paranoia returned. He was hospitalized for six days. “Recovery does not mean cure. … Rather, recovery is an attitude, a stance and a way of approaching the day’s challenges,” said Deegan in her lecture. Dote’s wife helped him communicate with the outside world as he recovered. Dote relapsed again in October and was hospitalized for 10 days. 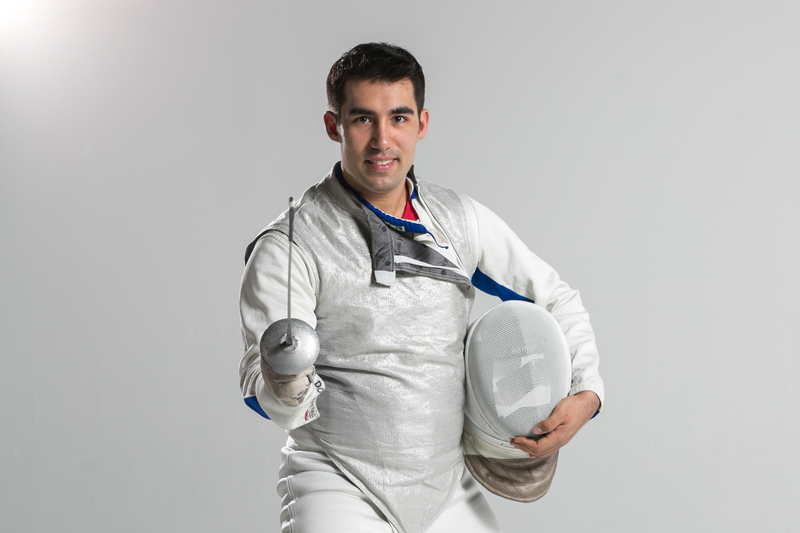 In the hospital, he practiced fencing footwork to keep himself active. Although he was hospitalized twice in the last six months, Dote hasn’t let it impact his confidence in himself. By December, he was taking on photography clients again, and even took on another job as a social media manager. There are around 3.5 million people in the United States who have been diagnosed with schizophrenia. Dote hopes he can inspire not only those with schizophrenia but also people with other forms of mental disorders. He received that confirmation recently, when he set up an Indiegogo crowdsource fundraiser for his documentary about his recovery. Through the fundraiser, he received many messages from strangers who suffered from depression, bipolar disorder, and PTSD who thanked him for giving them hope. Luis Pons, 41, is a relatively new photographer who has gained the trust of many of New York City’s most pre-eminent ballet dancers within six months.